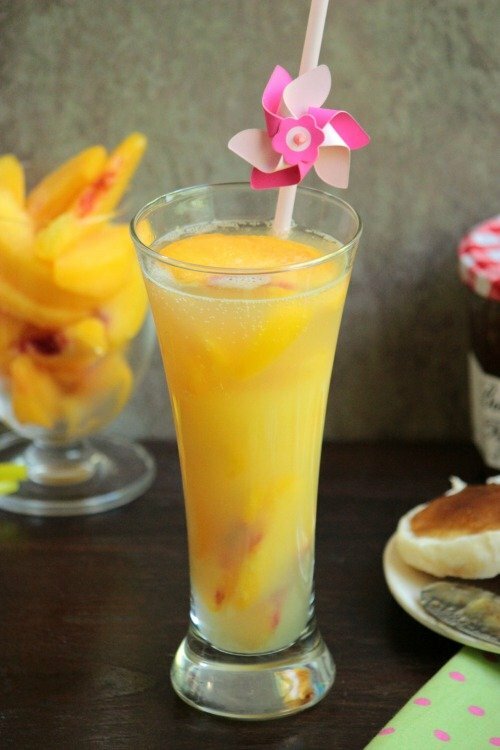 These Pineapple Peach Mimosas puts a sweet and fruity twist on a traditional brunch time staple! 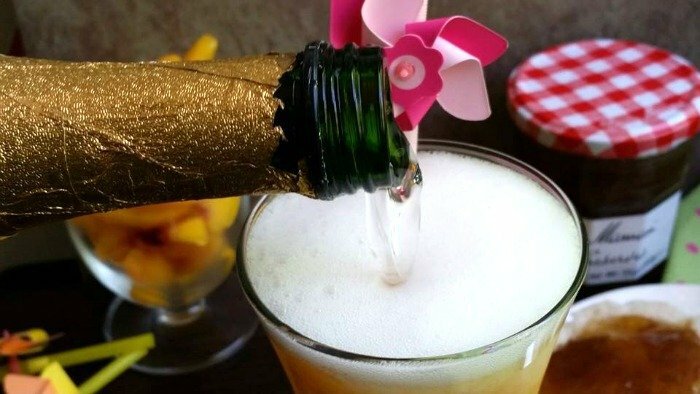 Before we get into how to make these Pineapple Peach Mimosas, let me tell you about #BrunchWeek just in case you haven’t seen my last post about all of the giveaways!! Last year I participated in Brunch Week and loved it! Now Brunch Week is back again for 2014! But wait! What is #BrunchWeek? Well, it’s an entire week thats dedicated to Brunch Recipes; we’ve got about 30 bloggers (including myself) that are going to be sharing some great Brunch recipes this week! Along with those great recipes, we have some HUGE & AMAZING giveaways for you thanks to our wonderful sponsors and their generosity during Brunch Week!!! Want to enter to win some great stuff ? 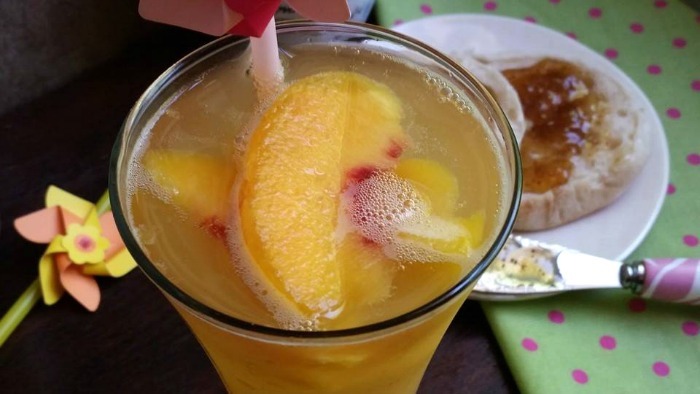 Check out the #BrunchWeek Giveaways, But be sure to scroll down and get the recipe for this Pineapple Peach Mimosa before you go! Sometimes I forget how much I love Mimosas! I’ll have one with brunch one day and it may be a few months before I have another. It’s one of those things that I love but I always forget about! When I do have them though, they always seem to have a bit of a twist to them! 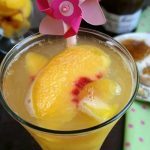 This Pineapple Peach Mimosa is a great example of one of those twists! A tradition mimosa is pretty much just Orange Juice and Champagne; my Pineapple Peach Mimosa had Pineapple Orange Juice (yep you read that right, OJ with pineapple juice), Pineapple Juice and frozen peaches! The frozen peaches not only add flavor but they keep the drink at the perfect, cool and crisp temperature! 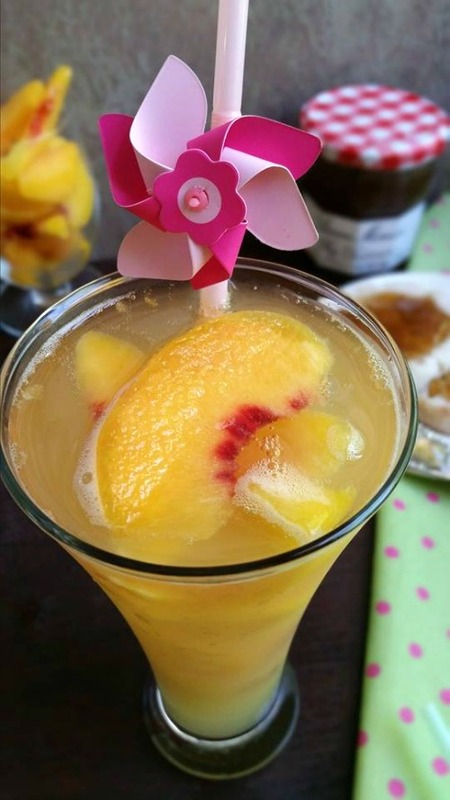 I used frozen peaches in this mimosa to add a little flavor and to keep my drink cold. I don’t really want to “chug” a mimosa haha but I also don’t want it to get lukewarm; Ice cold peaches are the answer! I’ve read that you’re suppose to add the champagne first and then add your juices but I prefer the champagne on the top because I like to layer my juices and get the “fizzy” reaction when I pour in the champagne. 🙂 I’m sure it taste the same either way! We have so many wonderful sponsors for #BrunchWeek this year but let me draw your attention to this little jar of Preserves below! I had some of it this morning with a few English muffins and it was out of this world good! I’ve never had anything”fig” before so I was a little worried but I loved it! 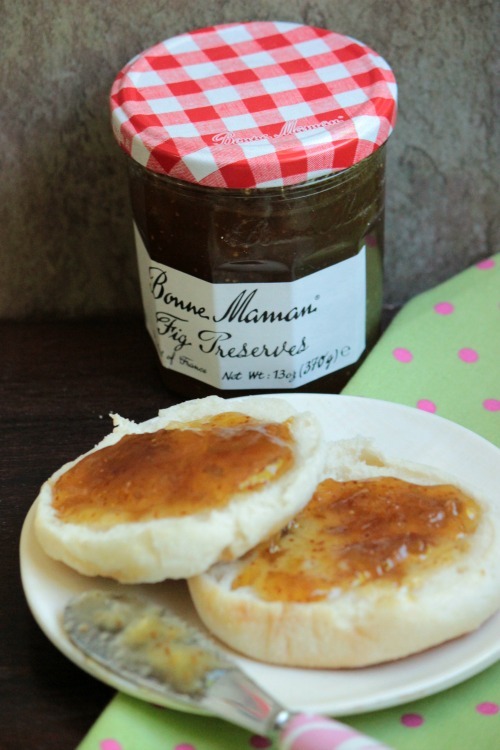 Before this week, I had not heard about Bonne Maman before but wouldn’t you know that after I enjoyed my Fig Preserves and English muffins this morning I opened up one of my favorite cooking magazines and Alex Guarnaschelli was in there talking about how much she loved the Fig Preserves from Bonne Maman! So cool! 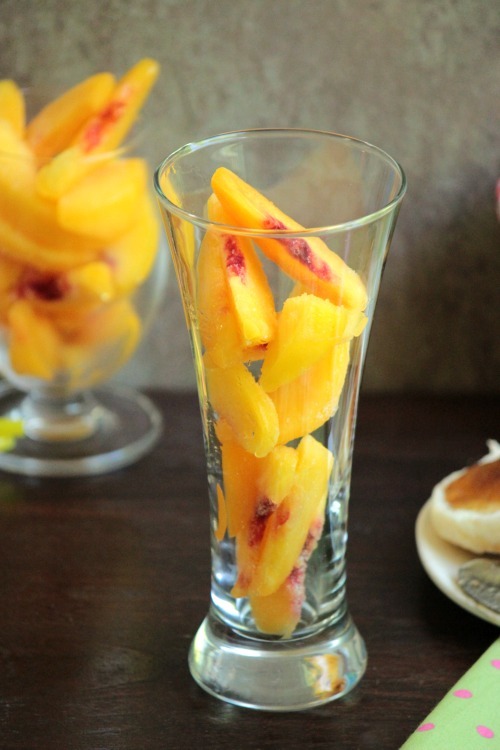 Fill a large glass with the frozen peaches. Pour in 2 oz of pineapple juice over the peaches. Next pour 8 oz Pineapple Orange Juice over the peaches. Top off the glass with 4 oz of champagne. Previous Post: « #BrunchWeek Giveaways!!! That’s Right, GIVEAWAYS!! !